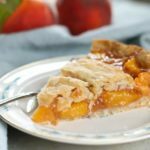 This peach pie recipe made with fresh peaches is packed with flavor with a homemade pie filling of cinnamon and sugar. 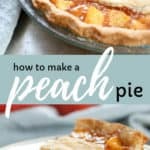 I’ll walk you through how to make this pie but also how to peel the peaches easily without a knife. 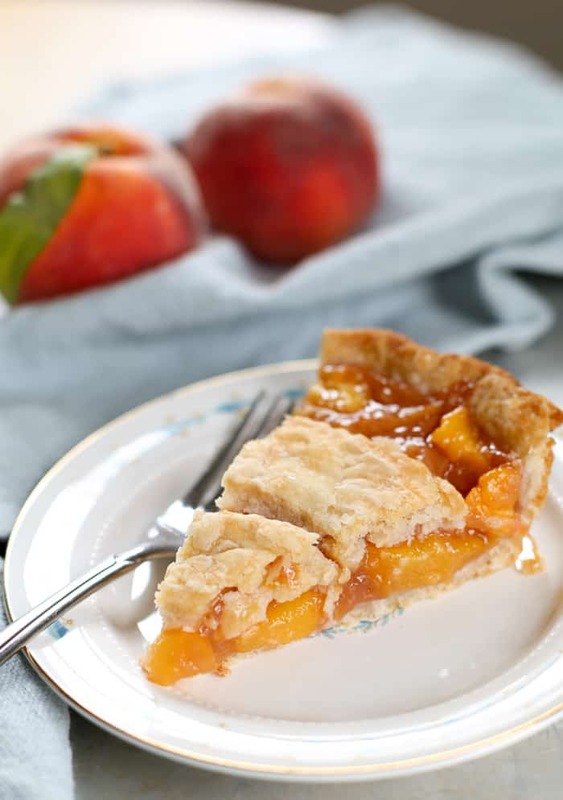 There is something about fresh peaches that make the very best peach pie. I asked my husband stop by the farmer’s market to pick up a basket of peaches and he came home with… a bushel of peaches! Uh, thanks dear. 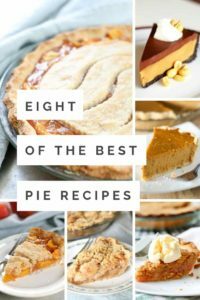 With so many peaches, I knew that I had to make a pie since we would never eat that many peaches even if we tried very hard. Your win! But first, I have a little tip on how to easily peel the peaches which makes this recipe so much easier! Getting the skins off the peaches easily is gold. And is also the reason I will make a peach pie again and again. First, bring a large pot of water to boiling. Add the peaches to the boiling water for one minute. Remove them and let them cool in ice water. When they are cooled enough to handle, easily peel the peaches. If you put an “x” with a knife on the peaches before boiling, they will peel even faster. Are peaches not the prettiest?! 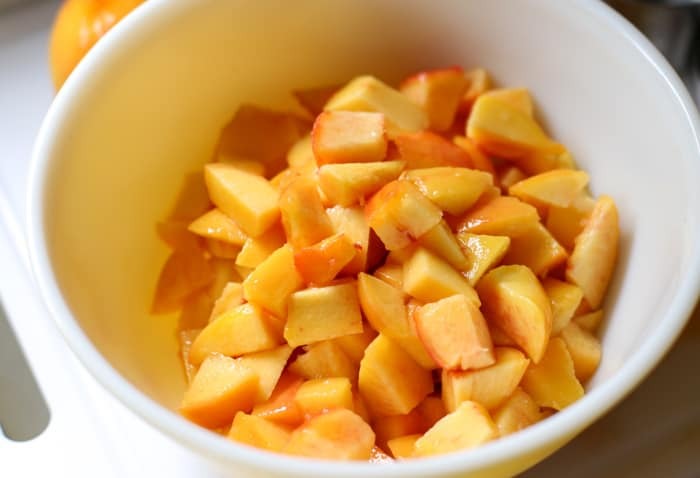 Slice the peaches into bite size pieces and add brown and white sugar. Mix gently and then add citric acid and stir again. Let peaches sit for about 30 minutes. You will notice juice forming. Stir now and then. Yummy, yummy peach juice. 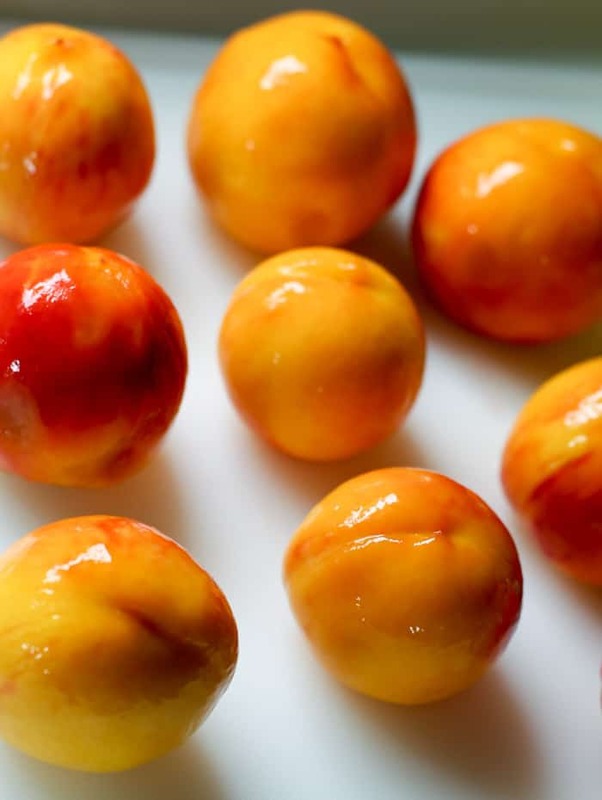 Avoid the urge to spoon the fresh peaches out and eat them now. The urge will be strong. Resist and instead drain the peaches and reserve the juice so that you have 3/4 of a cup of juice. 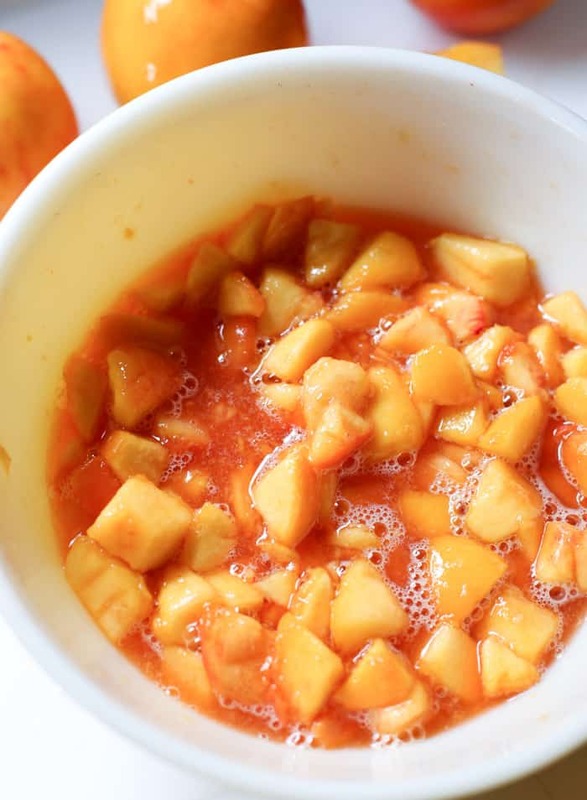 In a small saucepan, combine the cornstarch, cinnamon, and peach juice. Stir well to combine. Bring to a boil over low to medium heat. Cook and stir for 2 minutes or until thickened. Gently fold in the peaches. Add the peach pie filling to the pie crust. 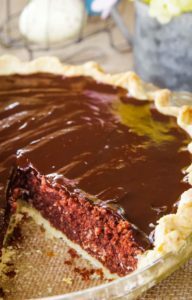 I typically add about 1 tablespoon of flour to the bottom of my crust before adding the filling. I then dot the top of the pie filling with butter before adding the top crust. Great-grandma did, and therefore so do we. >> Get my homemade pie crust recipe here. Bake at 400° for 25 minutes. Remove from oven and add aluminum ring and bake for another 20 minutes until crust is golden brown and filling is bubbly. Cool on a wire rack. 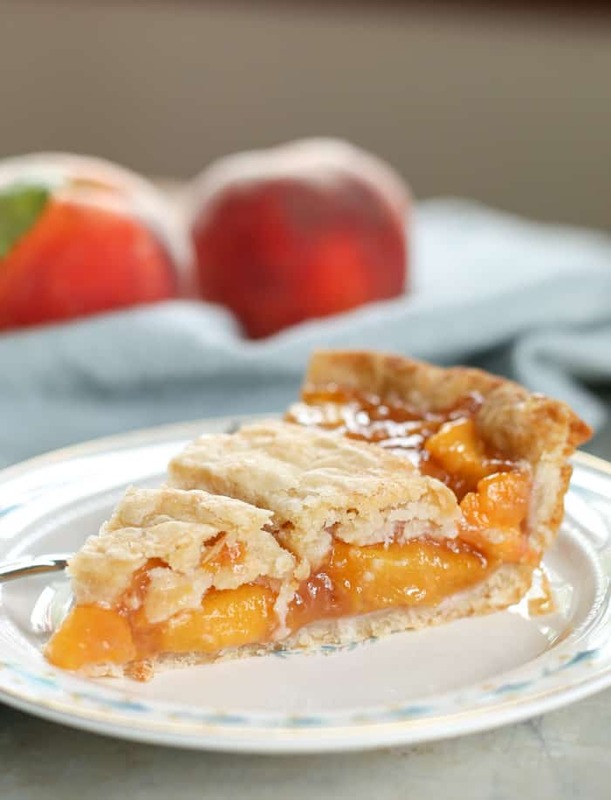 Sharing this recipe is making me hungry for another fresh peach pie! 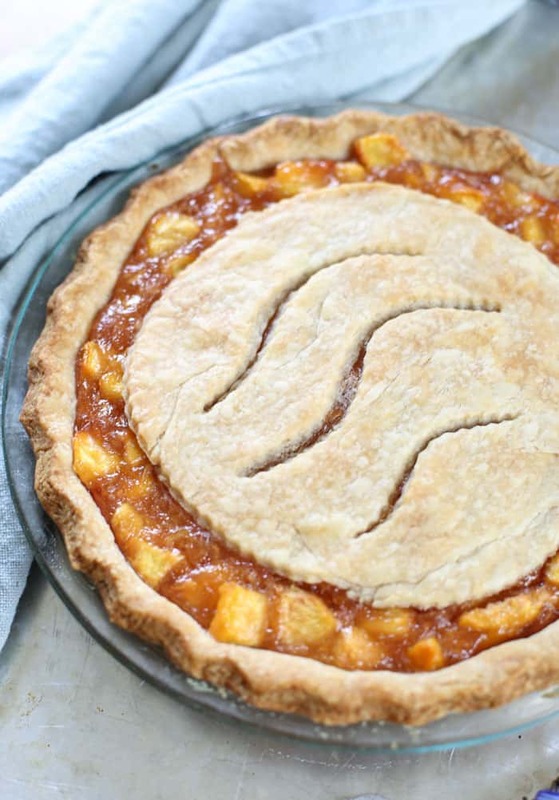 If you love peaches as much as I do, you will love this peach pie recipe. 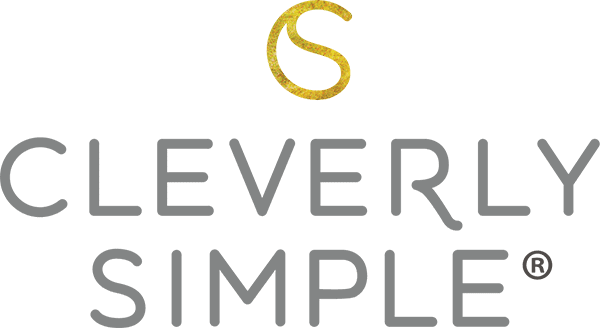 Share with friends! 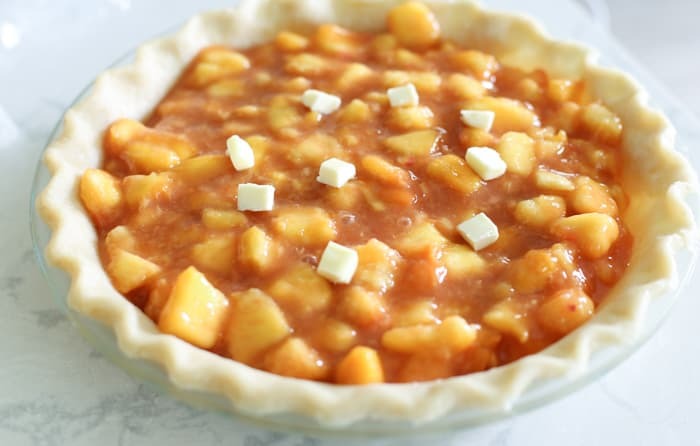 Homemade fresh peach pie recipe with a delicious peach filling of sugar, brown sugar and cinnamon. Slice peaches and add brown and white sugar. Mix gently. Add citric acid and stir again. Let peaches sit for about 30 minutes. You will notice juice forming. Stir now and then. Drain peaches until you have ¾ cup reserved juice. 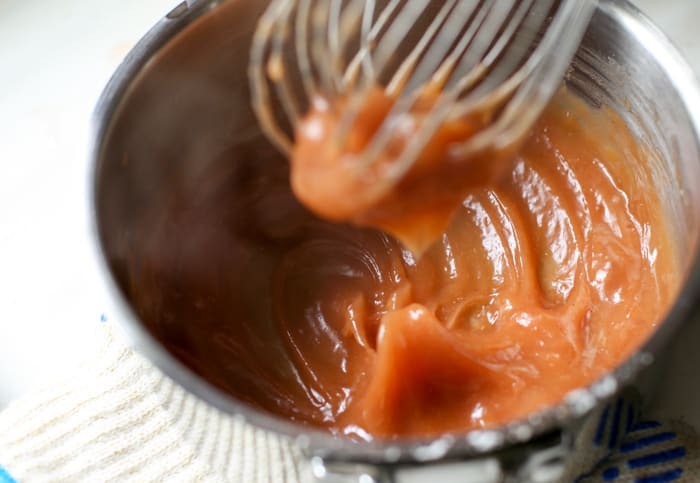 In a small saucepan, combine the cornstarch, cinnamon, and juice. Stir well to combine. Bring to a boil over low to medium heat. Cook and stir for 2 minutes or until thickened. Gently fold in peaches. Mix to distribute the thickening. Pour pie filling into pie crust dusted with flour. Top with butter. *To peel peaches quickly. Bring to boil a large pan of water. Add four or less peaches at a time. Leave in the water for one minute. 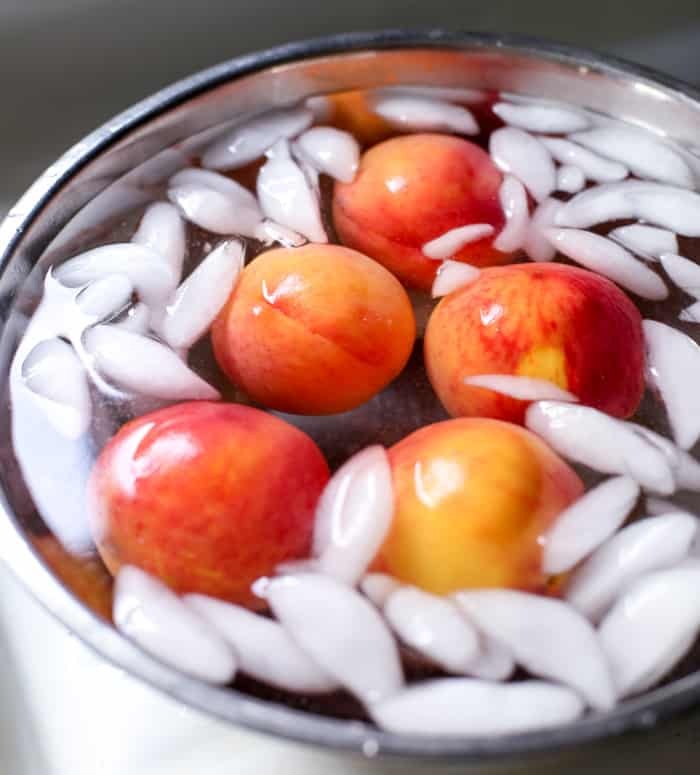 Remove each peach, one at a time, and place in ice water. When cool enough to touch, skins slide right off! Made today. I added an additional 2 cups of peaches. I think my pie plate was bigger than average. Without adding more ingredients to accommodate the extra peaches, It came out PERFECT. Many Thanks for a Great recipe. So glad you enjoyed it! It’s the perfect time of year for peach pie. 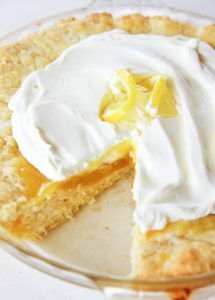 In terms of the extra peaches needed, pie plates can be deeper. 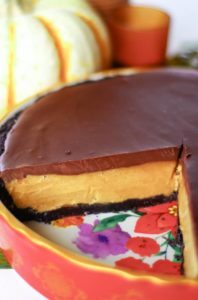 I have a few that are deeper than the one I used in this recipe.